Come any time between 9 a.m. and 6 p.m. The wreaths will be part of the art auction at Santa’s Breakfast, Duke of Connaught School. 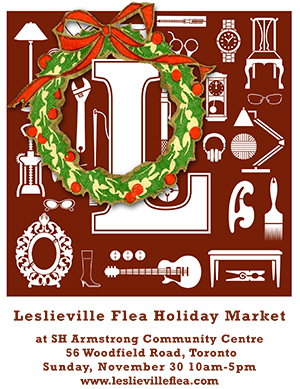 Holiday version of the flea market held at the Ashbridge Estate this summer and fall. 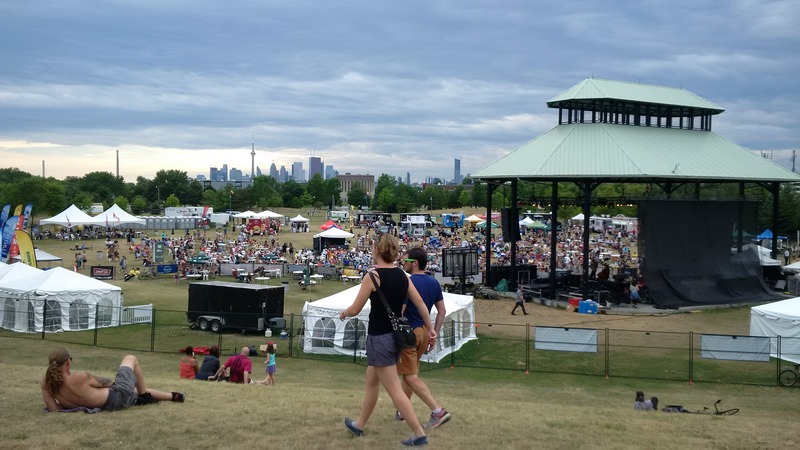 This entry was posted in Ashbridge's neighbourhood businesses, Duke of Connaught Public School, Eastern Avenue, Event, S.H. Armstrong Community Recreation Centre on November 26, 2014 by The Ashbridge's neighbourhood. 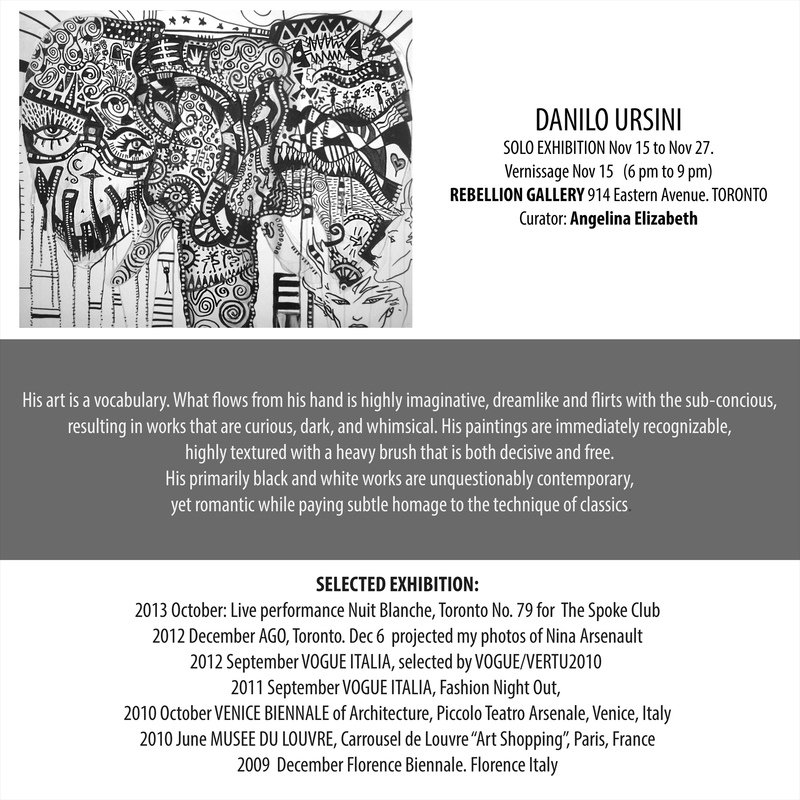 See the current show at Rebellion Gallery, 914 Eastern Avenue until November 27 – Italian artist Danilo Ursini. 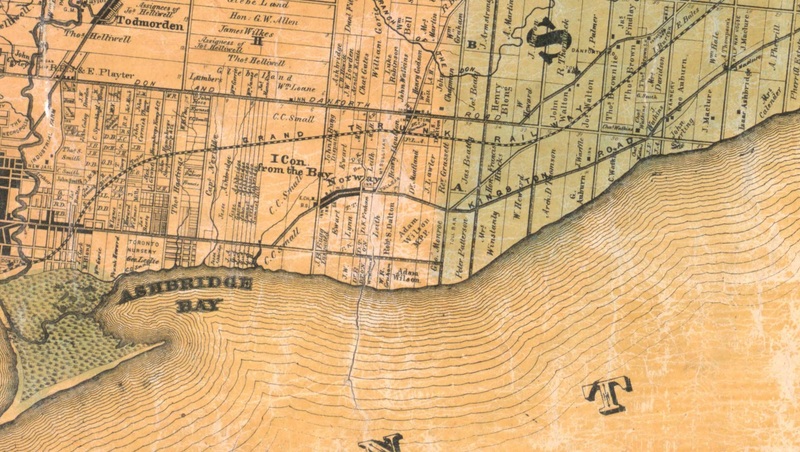 Rebellion Gallery and Art Academy is moving to a new location at 1495 Gerrard Street East, just west of Coxwell near Lazy Daisy. 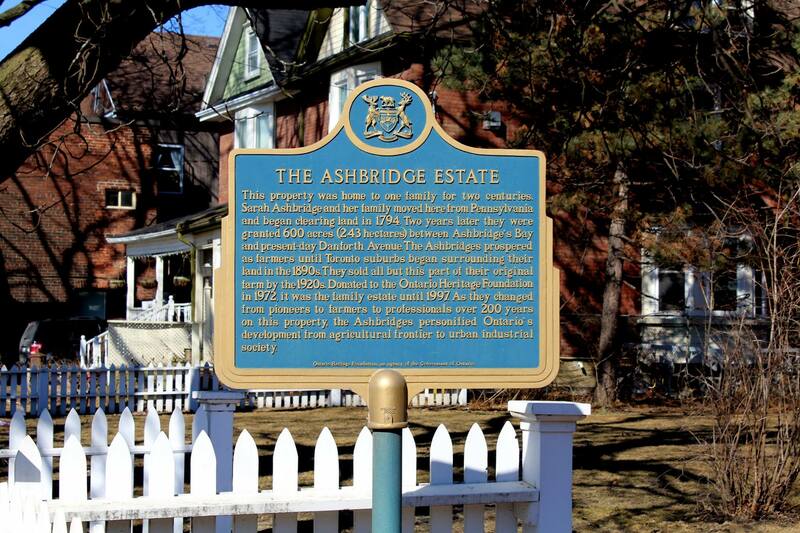 This entry was posted in Ashbridge's neighbourhood businesses, Ashdale Village / Little India, Gerrard Street East, Eastern Avenue, Event and tagged Eastern Avenue, Gerrard Street East, Rebellion Gallery and Art Academy on November 19, 2014 by The Ashbridge's neighbourhood.